Prime Minister Scott Morrison has an early lesson for new Australians on January 26 - boardies and thongs are for barbecues and the beach. On Sunday, the PM announced a raft of changes to the way Australia's citizenship ceremonies are held. Local councils will be forced to hold the event on Australia Day, rather than opting for alternative dates. Some councils have moved the date of their ceremonies out of respect to indigenous Australians, many of whom view January 26 as a day of mourning. A strict dress code has also been announced for citizenship ceremonies, including no thongs and boardies. Mr Morrison was accused of playing politics two weeks out from our national day, but he doubled down on the new rules this morning. 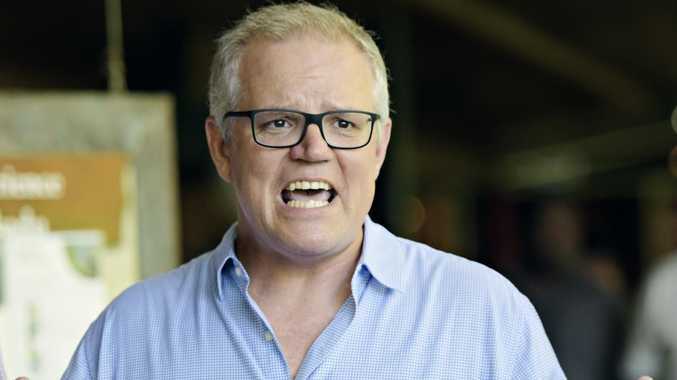 In an interview with the Today show, the Prime Minister said his war on casual wear was about upholding an appropriate standard for such an important event. New host Deb Knight suggested new citizens should be able to wear whatever they liked. "If people want to wear (thongs and board shorts) to a citizenship ceremony, sure that is up to them," she said. "I don't think so," Mr Morrison replied. "This is a very important institution, citizenship. You wouldn't turn up to your kid's graduation or something like that dressed like that. You'd turn up and show respect for the day and the other participants as well as the vast majority of people who do come along to citizenship ceremonies. "I've been to many of them. They come along and dress appropriately and I think, out of respect for what is being offered, that great responsibility and privilege of citizenship, people should dress accordingly. "By all means chuck on the shorts and thongs for later for the barbecue, wherever you happen to be. That is appropriate dress for those occasions." The government has announced plans to revise the citizenship code to make is compulsory for all councils to hold its citizenship ceremony on Australia Day. This means councils such as Melbourne's Darebin Council will no longer be able to host the events on alternative dates out of respect to indigenous Australians, many of whom view January 26 as the day their land was invaded by Europeans. "We believe all councils who are granted the privilege of conducting citizenship ceremonies should be required to conduct a ceremony on Australia Day," Mr Morrison told The Sunday Telegraph. Labor leader Bill Shorten said 530 of Australia's 537 councils already held citizenship ceremonies on Australia Day. "You sort of know when Australia Day's coming up, don't you, when a couple of weeks before we get the annual conservative outing to put politics into Australia Day," Mr Shorten told reporters in Melbourne yesterday. "It's what the conservatives do to keep their base happy." But Mr Morrison said Mr Shorten's figures were wrong. "That is not right. Only 70 per cent of them hold them on Australia Day, actually," he told the Today show. "There are many that don't. There are some that have legitimate reasons that they may not have any to hand out on that day but we know there are many that don't. If you want to hold Australia Day ceremonies and be given that privilege, Australia Day is the day, the first day that you must be handing them out." Greens Senator Sarah Hanson-Young said Mr Morrison was creating a "fake problem".